Erica McDonald. Born in Cleveland, Ohio, Erica McDonald is a photographer and educator who lives in New York City. She founded DEVELOP Photo to provide resources for the enrichment of the photojournalism, fine art and documentary photography community. 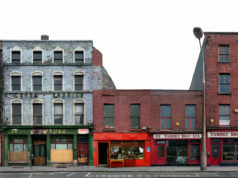 Her photography is regularly commissioned for magazines nationally and internationally and has been exhibited worldwide. DEVELOP: DEVELOP Photo provides resources for the enrichment of the photojournalism, fine art & documentary photography community. The DEVELOP Tube Photography Video Channel is an educational resource which features interviews, multimedia, lectures and films in photojournalism, documentary and fine art photography. Erica, how was the idea born to launch DEVELOP Tube? What motivates you to take on a huge endeavour like that? DEVELOP Tube is a facet of a larger project I have been working on, called DEVELOP Photo, which I started to provide an array of resources to the photography community; some of these resources are intended to provide information about daily happenings in the photoworld, some are based in education, and others are intended to connect people and get more eyes on the great work that is being done in our field. The idea in essence, is to curate the kinds of information that photojournalists, documentary and fine art photographers need, to wade through the details and provide some of the discernment necessary to take best advantage of these resources. Originally I hadn’t thought about a Photography Video Channel, but one night it occurred to me that as far as I knew, no one was carefully gathering together all the available quality videos in photography, from multimedia to lectures and interviews, from distinct sources from around the world. Originally the impetus arose because I so appreciated the help I had been given as a photographer and I believed in keeping that goodness going. But speaking of DEVELOP Photo as whole, it seemed to me that there was a gap that needed to be filled and because of my background working as a photographer and also in galleries and as an educator and editor, I felt I could do it well. There are already a lot photography related blogs, magazines, portfolio showcases etc. out there on the internet. What are you trying to do to distinguish DEVELOP from other existing sites? Often the role of magazines and blogs from these excellent organizations is to represent themselves, their own activities, photographers and the like. My interest is in helping connect individual photographers, editors, curators and organizations, and to spotlight the great work they are doing. Why are there different channels for DEVELOP Tube? When I first began to gather the existing videos in photography online, YouTube was the obvious place to start because of the sheer quantity of videos posted to their site. At this point, one year in, I have created over 325 albums on DEVELOP Tube YouTube, each filled with screened and filtered videos, as well as information about the photographer or organization. When I reached what felt like a critical mass on DEVELOP Tube YouTube, I started work on DEVELOP Tube Vimeo, and there are currently about 250 albums on that Channel. When will the main website go online and what will it look like? Your project is very ambitious and time-consuming: How do you manage to get DEVELOP running while working as a photojournalist at the same time? Do you get help? How do you finance the project? The two video Channels are updated almost daily, as is the DEVELOP Photo Facebook Group. In addition, it takes time to facilitate the original uploads to DEVELOP Tube, and answer more email than you could imagine. Most of the work for the main site is actually done, but I only can dedicate a little time to getting it launched because I’m maintaining the existing aspects of DEVELOP, and as you say, am a working photographer. To date, all this has been done out-of-pocket. My expectations for what the main site needs to do keep changing; in truth I need more time and money to achieve what I originally wanted to do, but I think I have resolved to scale back and begin with a portion of what I had intended. The good news is that I have started working with a terrific intern and we are making progress. Community building among photojournalists and documentary photography is a dear subject to you. Why is that and what does that imply? Individuals who are drawn to tell the stories of the world through photography are often remarkably good people working from a place of purpose, sincerity and the creative self, but it seems to me they also may operate from a place of isolation and can be fiercely competitive to the point of personal and collective detriment. It is important to me, as an educator and as a human, to do what I can to nurture the positive aspects of our profession, in hopes that some of the lesser aspects will take a backseat. It is more fun that way, and really, what are we without each other? Erica began working in the field of photography under the tutelage of esteemed photo dealer Joe Folberg at “Vision Gallery” in San Francisco, a “mini-mecca” for photographers. When the chance came for her to manage the gallery at “The Maine Photographic Workshops”, she was rewarded with the opportunity to learn through the company of some of photography’s greatest image makers. Erica holds a BA in Linguistics from New York University with studies in Anthropology and Art History. After studying printmaking at the Massachusetts College of Art and working in graphic design, she returned to New York City to pursue her own photographic work. Since 2010, she has taught an annual intensive documentary photography workshop through Spazio Labo’ Center of Photography. In 2011, she became an Adjunct Lecturer in Photojournalism at the Columbia University Graduate School of Journalism and joined the Advisory Committee for Rehabilitation Through Photography and the Editorial Committee at Photojournale. In 2012, McDonald co-curated the exhibit Uncommon Intimacy: Quattro fotografe e la scuola newyorchese in Bologna, Italy featuring the work of Amy Stein, Juliana Beasley, Amy Touchette and Erica McDonald, and Multimedia Night: Women in Multimedia for Arte Fiera. 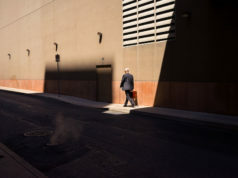 Erica has served as a contributing editor to the book “Connections Across A Human Planet”, a collection of photo documentary stories from around the world and has reviewed portfolios for PDN PhotoExpo/Palm Springs Photo Festival. Commissions and publications include: Mother Jones, Rolling Stone, The New York Times, Financial Times Weekend Magazine, The Wall Street Journal, Popular Photography, Bloomberg Businessweek, Boston Magazine, Courrier International Magazine, YES! Magazine, BE Magazine, El Mundo, Gioia Magazine, Runner’s World Magazine, The British Journal of Photography, The Collector’s Guide to New Art, Nonesuch Records and Rhino Records. McDonald’s photographs have been exhibited in Australia, Romania, Italy, and France, and in New York by PowerHouse, the Museum of the City of New York & South Street Seaport Museum, the Camera Club of New York, at Magnum photographer David Alan Harvey’s burn gallery, at FotoWeek DC and at Gallery Carte Blanche in San Francisco, California. 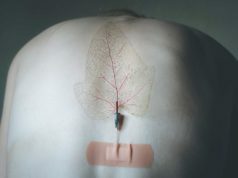 Her work has been included in projections and exhibits at the Athens Photo Festival, the Head On Photo Festival, Fovea, LOOK3, the Angkor Photo Festival, Bursa Photofest, Palm Springs Photo Festival, the FotoGrafia Festival in Rome and the Slideluck Potshow. Awards and nominations include IPA/Lucies, PX3, The NY Photo Awards and the Magnum Cultural Foundation EPF, and a Lower East Side Printshop Residency.